Mike will tell you that the subject of a painting does not make it interesting as a work of art. Art must go beyond mere representation to provide the viewer with a concentrated version of reality. 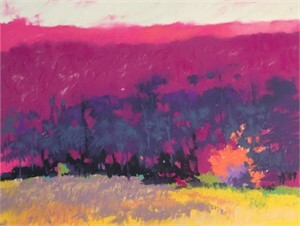 A landscape provides inspiration, but Mike's is a journey of color that excites the senses. 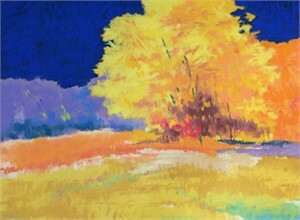 He takes a visual journey of discovery where color is the primary focus and soul of his work. For Mike, painting is about resitance and persistance. Each painting goes through a series of changes and refinements that may take days or months and evolves from a combination of direct observation, photo reference, memory and most of all invention. 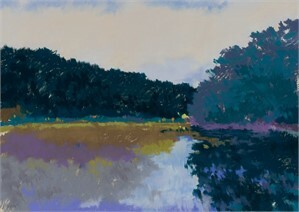 His color studies often lead to a series of the same subject, each variation evoking a different emotional response from the viewer. He comes by this process naturally and judiciously, which he learned throughout a long and successful career in graphic design and product packaging design. 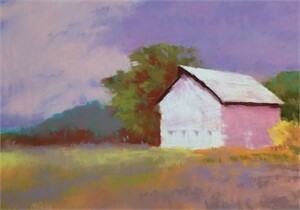 Mike will tell you that the subject of a painting does not make it interesting as a work of art. Art must go beyond mere representation to provide the viewer with a concentrated version of reality. 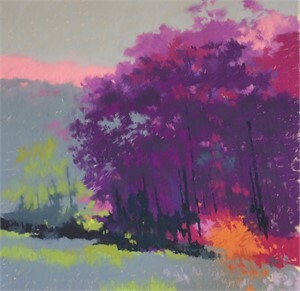 A landscape provides inspiration, but Mike's is a journey of color that excites the senses. 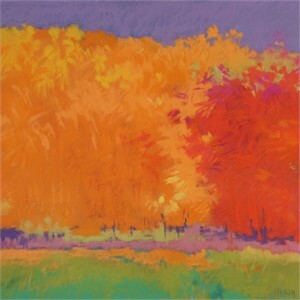 He takes a visual journey of discovery where color is the primary focus and soul of his work. For Mike, painting is about resitance and persistance. Each painting goes through a series of changes and refinements that may take days or months and evolves from a combination of direct observation, photo reference, memory and most of all invention. 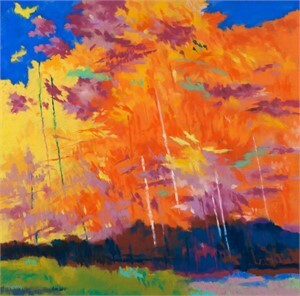 His color studies often lead to a series of the same subject, each variation evoking a different emotional response from the viewer. He comes by this process naturally and judiciously, which he learned throughout a long and successful career in graphic design and product packaging design.